We really don’t like to play favorites around here, but sometimes its just difficult not to. When you have a vehicle that so perfectly blends style, functionality, affordability, and reliability, it is really hard not to absolutely love it. That is exactly why we are such big fans of the 2015 Kia Forte in Greensboro NC at Carolina Kia. This is one of the best subcompact cars on the road, and we think it’s about time everyone else realizes that as well. 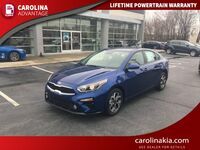 When we say we love the functionality of the 2015 Kia Forte in Greensboro NC, that is because of the different models the vehicle is available in. 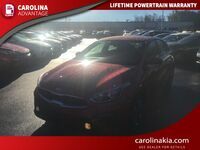 At Carolina Kia, customers have the choice between the Forte sedan, the Forte Koup, and the Forte5 hatchback. Each of these offers its own personality and features that drivers love, but what they all have in common is the same great Forte style. Interested in a 2015 Kia Forte? 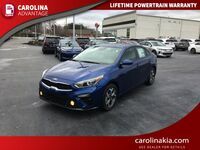 With all of the different available models of the 2015 Kia Forte in Greensboro NC, drivers also get their option of whether they want to lean towards efficiency or performance. The Forte offers plenty of both, and even the higher performance models are still quite efficient. There are three engines available in the Forte models. The first is a 1.8-liter I-4 that pushes out 145-horsepower at 6500 rpm. It is only available in the Forte sedan. The second engine is the 2.0-liter I-4 that produces 173-horsepower and cranks out 154 pound-feet of torque. This engine is also available on the Forte sedan as well as the Forte Koup. Finally, you have the Turbocharged 1.6-liter I-4 that produces a whopping 201-horsepower. This is available on the Forte Koup and is the only engine option for the Forte5. When equipped with the 1.8-liter the Forte can get up to 39-mpg on the highway, which is quite impressive. And as we said before, even the higher performance 1.6-liter Turbocharged engine is efficient, managing to achieve up to 30-mpg on the highway. One of the final things that makes the 2015 Kia Forte in Greensboro NC such a great vehicle is all of the available options in its interior. Kia has always been an innovative company, and that innovation is on constant display in all of the Forte models. This includes the UVO eServices infotainment system that comes with each Kia vehicle, as well as an available rear camera display, and a navigation system with HD radio and SiriusXM traffic. There are also plenty of other great standard and available features that can be included in your new 2015 Kia Forte in Greensboro NC. These include Bluetooth wireless, steering wheel-mounted controls, available FlexSteer driving assistance, an active Eco system, push button start, dual-zone temperature control and much more.